Using a banner as a marketing and branding tool is essential in today’s tough competitive market. A banner can be used indoors or outside and it succeeds in catching the eye of any passersbys. If you decide on an outdoor placement for your banner, you can advertise limited time offers, special sales or any other offer that would be too good to pass up! On the When placed inside, your banner can be directional, for advertising, or even setting a mood! 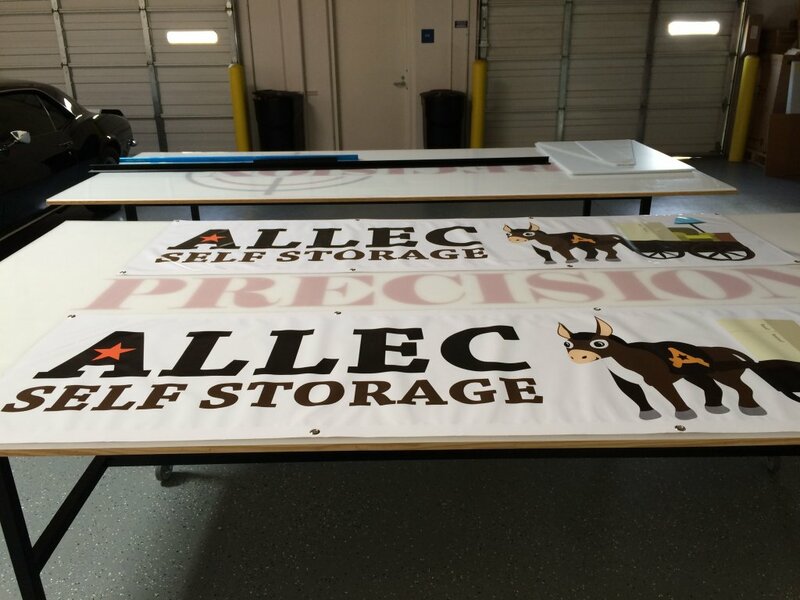 What do you need to know about using fabric and vinyl banners in Riverside CA? Have you ever felt a fabric banner? 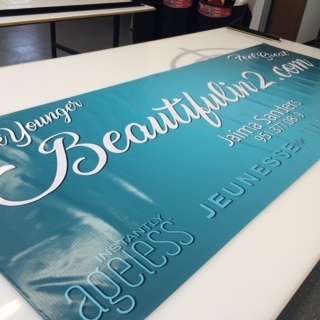 Although fabric banners are generally made from polyester, they are soft to the touch. This type of banner is suitable for interior displays. With this type of banner, you can choose two types of finishes, either a satin or matte. When deciding what finish for your product, think about where you will be placing the product. Matte finishes are recommended for areas where there is a lot of ambient or artificial light. A satin finish is better suited for an area with no direct light exposure. This fabric is wrinkle resistant which makes using them again and again easy and cost efficient way to always have portable signage . That is a pretty broad statement, but when you think about it, it would be fair to say that there could be a vinyl banner made for every occasion! From an inexpensive banner, suited for temporary displays to a heavy duty vinyl banner made to last years, or even a mesh vinyl banner, which is awesome for outdoor usage where you might be battling elements of the weather. Think about all the places you have seen signage in the form of banners around your town. Here in Riverside, CA outdoor vinyl banners are used for everything! Temporary signage can be used to announce upcoming city or town events, a 5k run that the Lions Club is sponsoring, or even youth baseball tryouts. Banners with more longevity can be used to announce a Grand Opening special, a seasonal special, or used yearly for an event that always happens, like your city’s Easter Egg Hunt. How do you order your own Vinyl or Fabric Banner in Riverside CA? 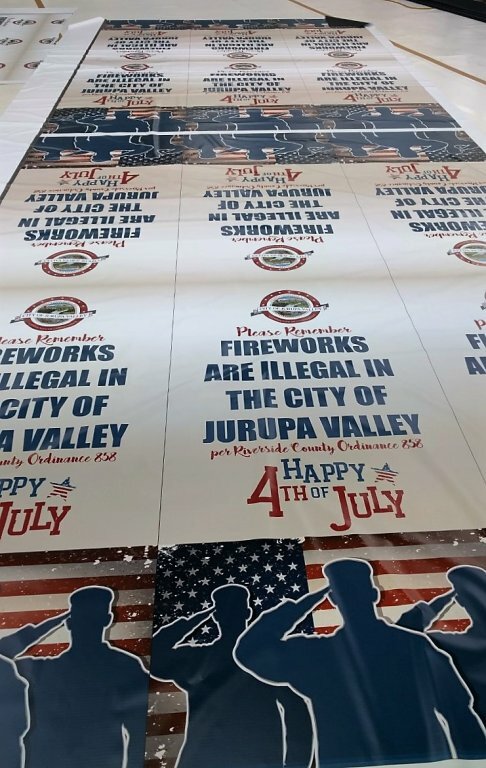 When you are ready to add banners to your current marketing campaign, please feel free to call our shop and speak with a seasoned graphic designer, or our dedicated sales team in Riverside CA. We always offer free consultations and take the time to listen and advise you concerning your needs, material selection, banner placement and finishes. If you have artwork that is print ready, we can always go straight into production of your fabric, vinyl or mesh banner. 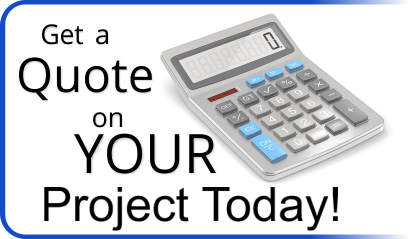 Contact us today to get started on your banner design.